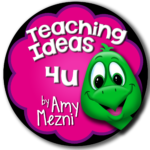 Please welcome today’s guest blogger, Amy from Teaching Ideas 4U. 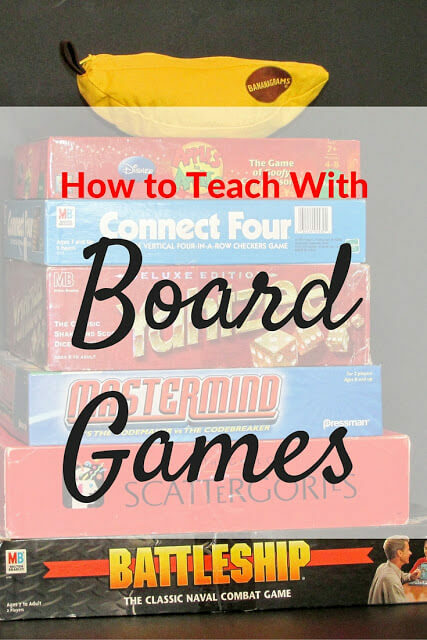 Her guest post about board games not only fits right in with our new “because learning should be fun” tagline, but it will also inspire you to let loose a little and teach in an unconventional way! Enjoy! Hello! 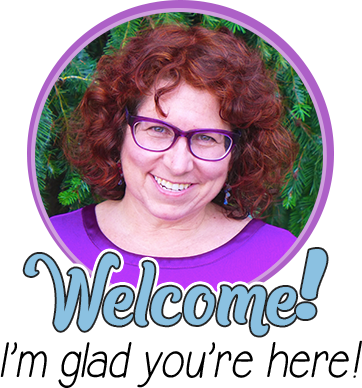 My name is Amy Mezni, and I love board games. Love them. We have so many board games at my house that we really have to search for a game we don’t have. This obsession started when I was a kid. My mom played games with us all the time, and I truly believe that is how my brother and I learned our reading and math skills. As a teacher I try to instill a love of games in my students. Games teach and reinforce so many skills. Students learn without realizing it! How can I find the time to play games in my classroom? A lot of teachers have a reward system where the class can eventually earn something like extra recess or a movie. Why not use a game day? Another great time is after a test. Everyone – including the teacher – is usually tired after the build up to a test, and games can be used to practice a skill in a fun way. 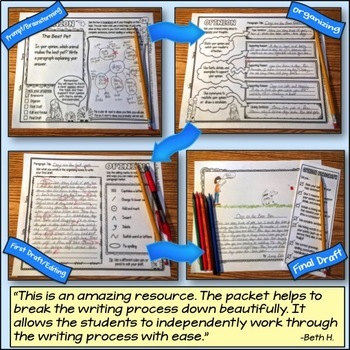 Recently, there has been a lot of discussion about elementary homework. Studies have shown that homework at the elementary level really is not effective. As a teacher I found it difficult to have the time to go over the homework, especially when a good portion of my class didn’t even do it. If you don’t want to do away with homework altogether, you could have a game check out. Students could select a game to take home. Parents could simply sign the planner to show they played – hopefully together! If you plan to use games for homework, keep in mind that some students don’t have anyone at home that can/will play a game. You would want to have some choices that could be played with one person. 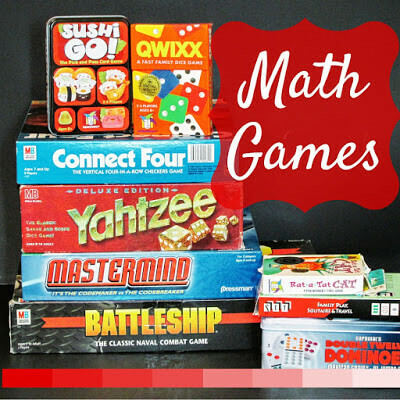 Where can I find these games on a teacher salary? My best friends are the thrift store and yard sales. Most of the games I have in my classroom were $3 or less! It does take some dedication to find them, but it is worth it. Just be sure to open the game and check that it has all of the pieces before you buy it. 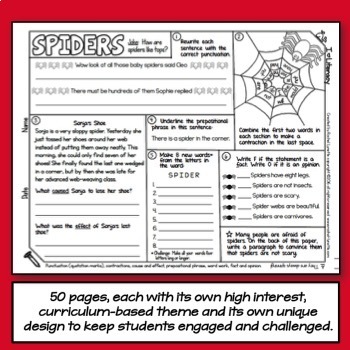 Put a request in your classroom or school newsletter for games. You would be surprised how many parents have some to donate to your class. Grants are also another great way to get money. They do take time to write, but it is worth it when you get the funding. I don’t want to take the time to play a long board game. What types of games are easy to use in a classroom? Over the years I have found the games with few pieces are the best! I love games with lots of pieces and money, but by the time you set them up, you are out of time, especially if you have to teach the rules of the game. Games with a lot of pieces are fine, as long as you can easily substitute a missing piece. For example, if checkers had a few pieces missing, I would just replace them with math counters, beans, rocks, etc. Cards games are also a lot of fun, and they are usually fast to set up and play. Which games will help my older students practice their skills? There are so many classic games for younger kids, but it gets harder to find skill-driven fast-play games for older students. I personally love Gamewright games. (No endorsements here; I just really love them!) Gamewright makes mostly card games, and they do have games for various ages. I have noticed that when I can force my own children to pick a game, it is usually one of our Gamewright games. My teenagers really enjoy the fact that the games are fast – usually 10-20 minutes. The games usually have rules that are pretty easy to follow. These games are harder to find used since they are card games, but they are usually under $10. I bought most of mine at the big box stores. In order to help teachers narrow down their game wish list, I made a list of games for different skills. These games are for 3rd grade and up. Yahtzee: I cannot tell you how much I love Yahtzee! It is five dice and a score sheet. That’s it! 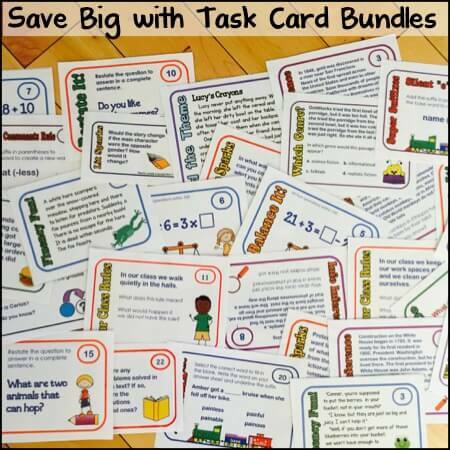 Your students will practice adding, multiplying, and social skills. Battleship: This is a great game for teaching coordinate planes, which are also used in geography. (Covering two concepts in different subjects: 5 bonus points!) Just make sure that games have all of the ships in them, if you find them used. Mastermind: This is a great game for teaching logic. One player hides a pattern, and the other player has so many chances to crack the code. 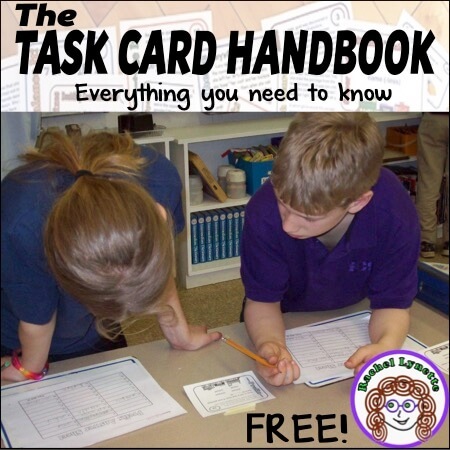 It helps you to see which students can quickly grasp how to narrow down possible answers and who cannot. Strategy Games: Why teach strategy? Strategy helps students to learn how to think through a problem. This is really an important life skill. 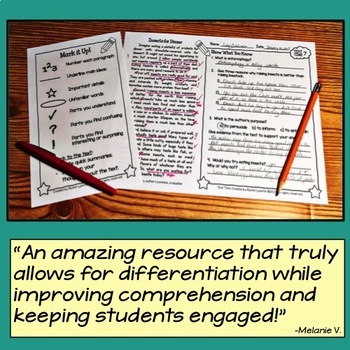 There are so many terrific strategy games out there, but ones that are easily taught and used in a classroom are Sushi Go!, Quixx, Connect Four, Rat-a-Tat-Cat, and Dominos. Sets: This is a strategy game, but I felt it deserved a special shout out. This game teaches visual discrimination. The cards are varied by shape, color, pattern, and number of items. Cards are laid down, and players have to find a set of three that is either all the same or all different for all of those things. It is a card game, but it can be played alone. It is simple yet hard all at the same time. If you ever find this for a great price, it is definitely worth adding to your games! Boggle: I really like Boggle because it is so adaptable. A letter board is shown and players find hidden words in the letters. There is a version with dice that you can buy in the store, but I also made Boggle bulletin board sets for my classroom. 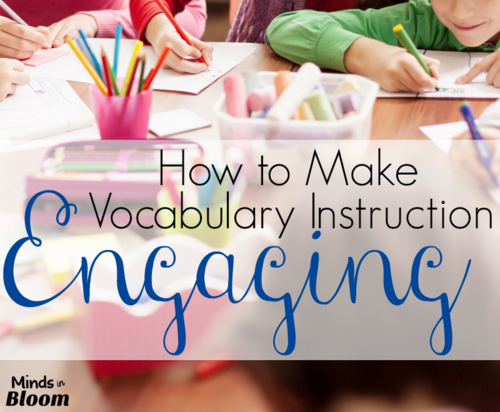 This is a fun activity to use in your classroom! 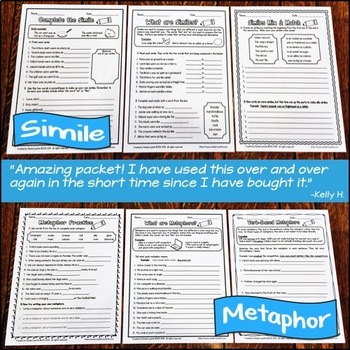 Scattergories: This game is so fun and helps students build their vocabulary. Again, a very easy set up: Pick which card you will use, grab a score sheet, and roll the die! 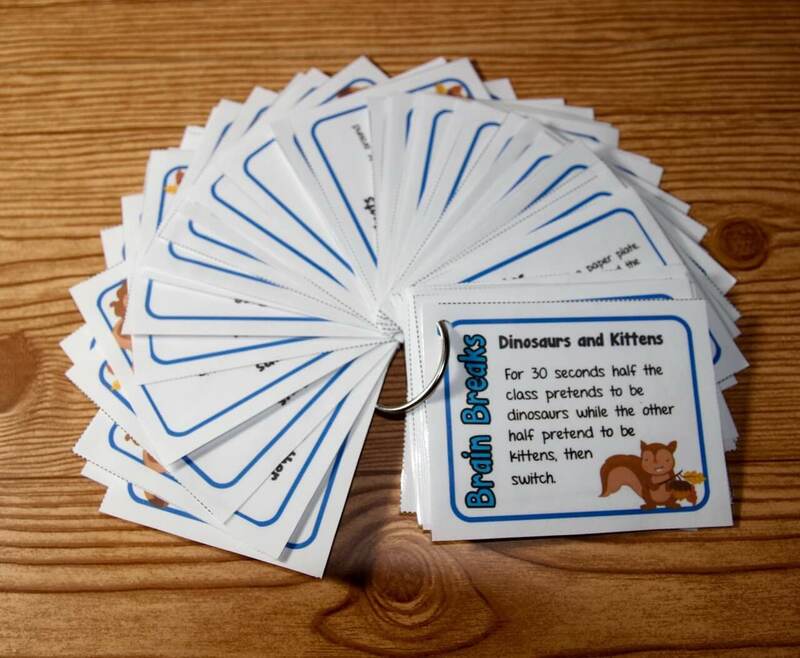 Each card has a list of categories that players have to fill in with a related word. The catch is that the words have to start with the letter rolled on the die. Apples to Apples: Are you teaching adjectives and adverbs? Then this is the game for you! One player picks a word, and then all of the other players look in their hand to find a card that fits the word. For example, if the word is “scary,” the players have to find something scary in their hand. This game is so much fun; my kids pick this one all the time! It is a party game, so you can have a large number of players, and it is fun for all ages! Bananagrams and Scrabble: I grouped these together, because the games are similar. In both games you build a word from your hand of letter tiles, like a crossword. 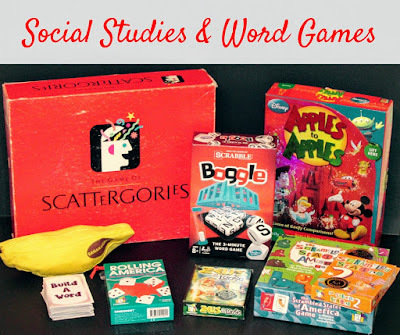 These games are not recommended for students weak in vocabulary skills. Build A Word: This is a card game I created. I noticed that my children had trouble making different forms of the same word, such as the adjective form of the noun. This game has eight roots, eight prefixes, and eight suffixes that can be combined together to create words. Scrambled States of America: Players hold state cards in their hand. Players try to match the clue, but only the fastest player wins! The clues vary in difficulty, so every player does really have a chance. This game will help students learn state capitals, shapes, and locations. Where are the science games? There are some really cool games for science, but there are pretty pricey. I recommend Laser Maze and Totally Gross: The Game of Science, but they are not easy to find used. 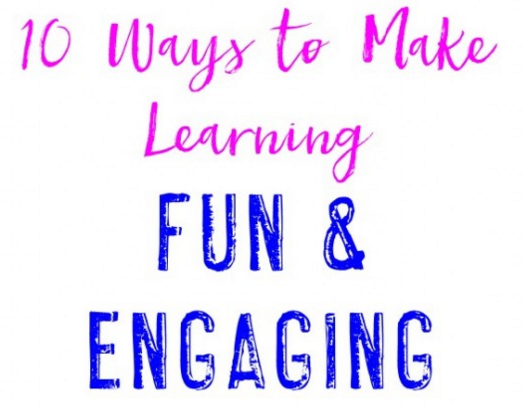 Games are a great way to bring back the fun in learning! 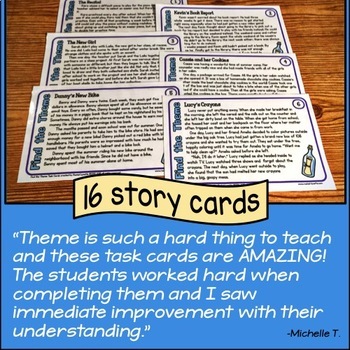 I hope you have some new ideas for using games in your classroom! I come from a family of educators. Over the past 20 years, I have taught 2nd-6th grades, as well as social studies in 6th-12th grades. I spend my time reading and herding two children and three cats. 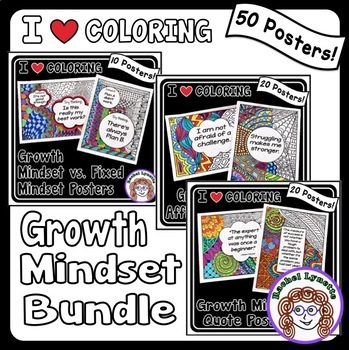 Please join me on my blog, Facebook, and TPT store. 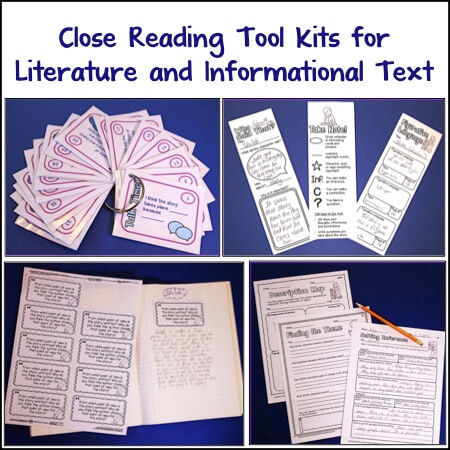 7 Reasons to Use Interactive Notebooks Encouraging Children to Explore: Five Tips to Foster Curiosity 10 Ways to Make Learning Fun and Engaging How to Make Vocabulary Instruction Engaging Am I a Drill and Kill Teacher? Good reminder! I like the idea of board games as homework. I grew up playing games too. I teach kindergarten and two games we enjoy to help us build vocabulary are Heads Up and Headbanz. I even found a children’s version of Headbanz with pictures at Bed, Bath, and Beyond after the holidays for $4! Thank you!! I’m big into games too. I like to play them more than my students I think. I find lots of great games, current type and retro!, at thrift stores!! Love it when I find a good one!! I use Jenga in my science class. We talked about Newton’s laws with the game. I have even tempted to write science questions on the pieces to be answered. I gave as a class assignment to students “make a science board game” I received great game boards to use for future classes! If you haven’t yet, for older kids at home you might want to check out https://www.geniusgames.org/.